I am happy to say that I have had a very easy pregnancy so far, knock on wood. Except my skin. Before I got pregnant, I had dry, very sensitive skin with mild rosacea. Now, I have very oily skin with break outs. We probably all remember our anti-acne program from back when we were teenagers, but what is a woman to do with pregnancy-induced skin problems? What’s safe, what’s not? Is it safe to use medicated acne products? The most common anti-acne ingredients you can get without prescription are Salicylic Acid, also known as Beta Hydroxy Acid, and Benzoyl Peroxide. Salicylic is actually a part of the aspirin family and therefore not recommended during pregnancy. The same applies to Benzoyl Peroxide, which kills acne bacteria, However, with both ingredients, it does depends on how much of it you use and how often. In my research, I read that small amounts of topical salycilic acid or benzoly peroxide are considered safe. Therefore, I occasionally use a spot treatment with 1% Salicylic Acid to target a particularly nasty break-out. Other than that steer clear of medicated product. There are a few other non-prescription ingredients to be aware of, especially because they are not considered medicated and could easily be overlooked. These include Retinol, Retinaldehyde or Retinyl Palmitate, all Vitamin A or Vitamin A derivatives except Beta Carotene. These ingredients are mostly found in potent anti-aging products, but there are also anti-acne products that contain these ingredients, especially since they help with help minimize the discoloration associate with acne-scarring. It goes without saying that pregnant women should only use prescription strength acne products if your doctor gives you the green light. 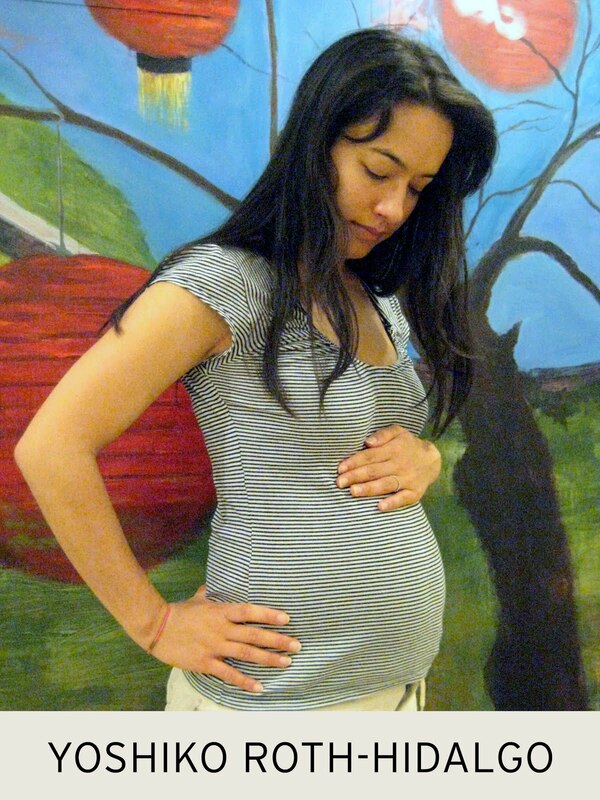 An important point to consider: You skin becomes more sensitive to the sun during pregnancy. Medicated ingredients carry a risk of causing a reaction together with UV light, so now you have to be even more careful to protect yourself from the sun when you use medicated products. Which JUARA products do I use now that my skin is so dramatically different from before pregnancy? I always knew based on other people’s testimonicals that our Rice Facial Cleanser is suitable for all skin types, now I really know it first-hand. I loved our cleanser back when I had dry skin and I love it now that I have oily skin. It’s simply a great, effective, gentle cleanser. Can’t live with out it! I realize it’s hard to find a moisturizer that is suitable for oily skin AND also has real anti-aging benefits. Our oil-free Sweet Black Tea & Ginger Mattefying Moisturizer is it for me. It has just the right amount of hydration with Hyaluronic Acid, it feels light and really does give you a nice matte finish. The ingredients are natural and give anti-aging and oil-balancing benefits. Now that I have such problematic skin, I absolutely love our Milk & Red Sandalwood Facial Mask. It gives my skin clean, matte look and also calms down some acne-related blotchiness, while acne-bumps seem much less noticeable after only 1 treatment. BTW, this mask is also great as a natural spot treatment. Just mix a little bit of powder with a drop of water, create a paste and put it on the pimples. One of the favorite things I enjoy most owning and running a business is meeting interesting, motivated, passionate women who are inspired by something they do or have created. Sometimes they’re more quirky characters, like a woman I had met at a tradeshow who cultivated dirt and insisted on giving me her business card that had a bag of dirt attached to it (she was so enthusiastic!) while others may circle the world of entrepreneurs – jewelry designers, fragrance makers, tech company founders, independent consultants, and more. But not only do I find who I meet is interesting, but sometimes it is how I meet them is that is special. Earlier this year, a journalist, Karen Zusman, was writing a story for Organic Beauty magazine about Indonesian spa tradition and she was looking for people well versed in Indonesian beauty rituals. Through this, my name was passed to her through Kim Collier, the lovely, highly knowledgeable owner of the spa/bodycare line Jamu, (thanks Kim!) along with Susan Jane Beers – the author of the book “JAMU: The Ancient Art of Herbal Healing,” who has written, to my knowledge, the only comprehensive, pleasantly informative, and easy to read book about the JAMU tradition in English. Needless to say, back in the early and pre-JUARA days, I devoured the book, using it as an inspiration, along with other more technical books in Indonesian. I’ve even given the book to the beauty editors of magazines, in hopes they’ll also fall in love with and understand the richness and beauty of Indonesian herbal and beauty tradition. (That’s why JUARA is so authentic – it’s really that amazing back home!) I have never met Susan before, as I knew she doesn’t reside in the US, but through the connection of this article, Susan reached out to me, which suprised me, yet made me really happy. And so I find out, lo and behold – she resides in Singapore, a place I go to every year in my transit to Jakarta! So 6 months after email correspondence with the author of the book who I have always held dear, we met for coffee at a cafe in Singapore. How global. We had so much to talk about – her life is so different than mine now, but how how common interests can bond. And just last week, I was in Indonesia again, and again, we were able to connect, 6 months after our first meeting, this time in a Thai restaurant in Jakarta. We had a great time and I so enjoyed speaking with her, which is a nice reminder that despite my hectic days in NY, where connections with people often stem from convenience of schedules, that sometimes people can bond over space/time from common passions. It’s really refreshing. So, we part until our next meal together… I wonder where in the world that may be, but I’m looking forward to it! Susan’s book, JAMU: The Ancient Art of Herbal Healing is available at http://www.amazon.com here.